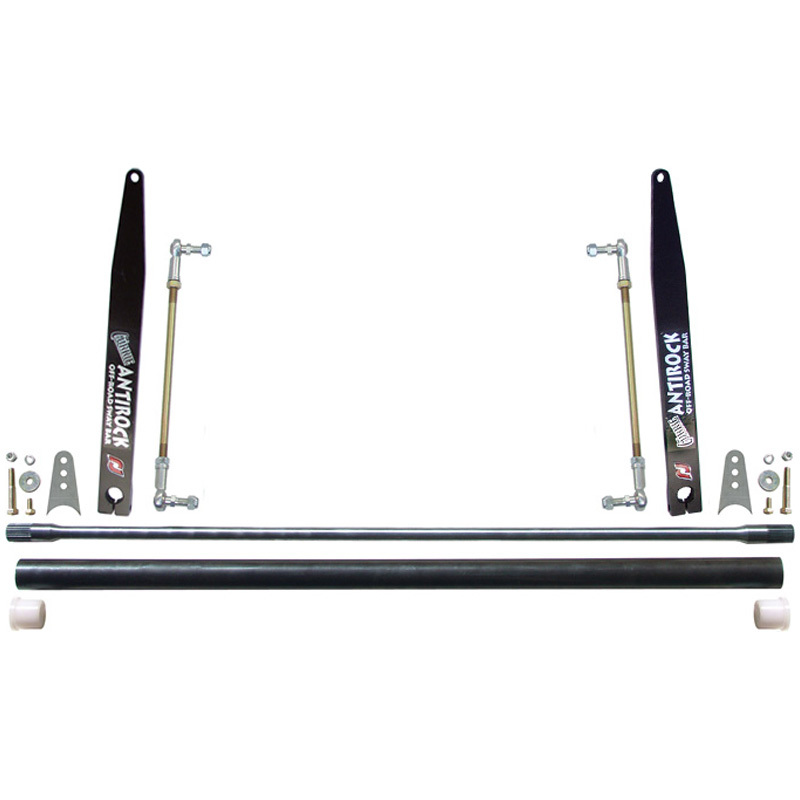 Currie now offers Antirock sway bar kits in a universal form for those building their own custom rigs and rock buggys. This universal kit features a 50 inch torsion bar length and 21 inch long steel arms as used in our 2-Door JK rear Applications. Vertical links use a 14 inch long 1/2 inch x .20 RH/LH threaded rod that can be cut down to your desired length, and the necessary 1/2 inch x 20 thread heim joint rod ends, jam nuts, and tabs to weld to your axle tube are sUpplied. Also sUpplied is the universal weld-in 1.75 inch x .095 wall DOM tube that is cut to the proper length to work with the torsion bar length, and the Delron bushings to sUpport the bar in the tube. The 50 inch bar is a .900 inch diameter. These kits require fabricating for installation - these are NOT bolt-on kits.